Article of the opening of the WineChef space published on the web, where the vertical tastings that Stefano Gandolini made of the Gandolini and Ventolera vineyards stand out. Gandolini Las 3 Marías Vineyard Cabernet Sauvignon 2013 was chosen as the first place in the category Wine Icon in event Wines Chilean Icons 2018. Visit of Fongyee Walker, the famous Master Of Wine of China. Last wednesday we received in our warehouse a special group from China, Fongyee Walker and students enrolled in her wine school in Beijing. The purpose of the visit is to explore the diversity and uniqueness of the wines, producers, food and culture in Chile. It was an excelletn visit and they were amazed by the quality of our wines. 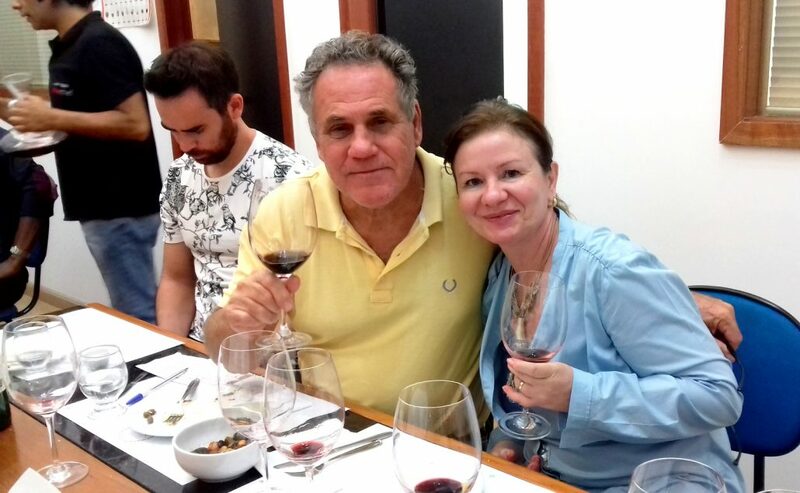 In the first days of August, a space called WineChef, belonging to the Chilean-Brazilian sommelier Alex Ordenes with his wife Edneia Benfica, was inaugurated in the Pampulha neighborhood of Belo Horizonte, Brazil. There were several wines Icons of Chile, among them, those of our portfolio vineyards Gandolini, Ventolera and Von Siebenthal. They also had the special participation of our General Manager of GVV Terroirs, Stefano Gandolini, who is also the winemaker of Gandolini, Ventolera and Von Siebenthal. During the inauguration Stefano made a vertical tasting of Gandolini Las 3 Marías Vineyards Cabernet Sauvignon and Ventolera Sauvignon Blanc. You can find more details of the opening and images in the following link. On June 15, In São Paulo, Brazil, a unique event called "Queen of Cups" it developed. 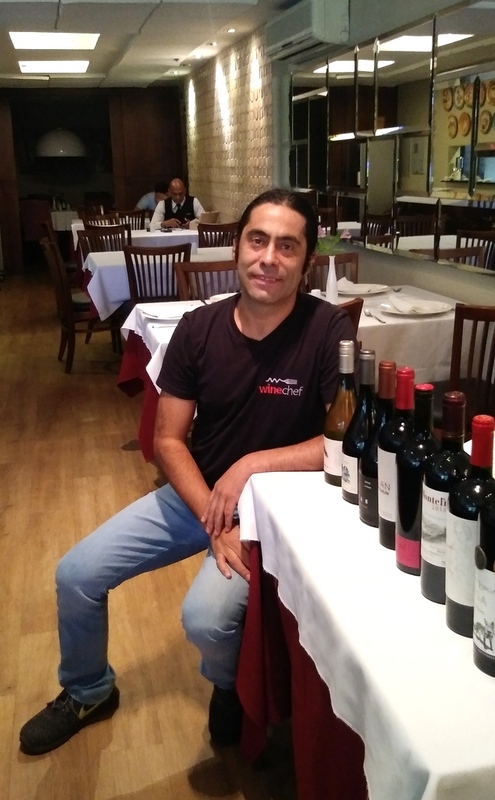 Where 6 sommeliers from Brazil faced with a selection of wines that they chose in a visit to Chile. Our Gandolini wine "Gandolini Las 3 Marías Vineyards" was chosen by 2 sommeliers and one of them was the winner of the event with its selected wines. We congratulate Jéssica Marinzeck for her triumph in this event. Chilean Premium Wine – Tasting Tour made an event in the restaurant Dom Francisco in Brasilia with some of the best sommeliers of Brasilia, owners of restaurant and importers of wines. The event was focus to Chilean wines of high range. 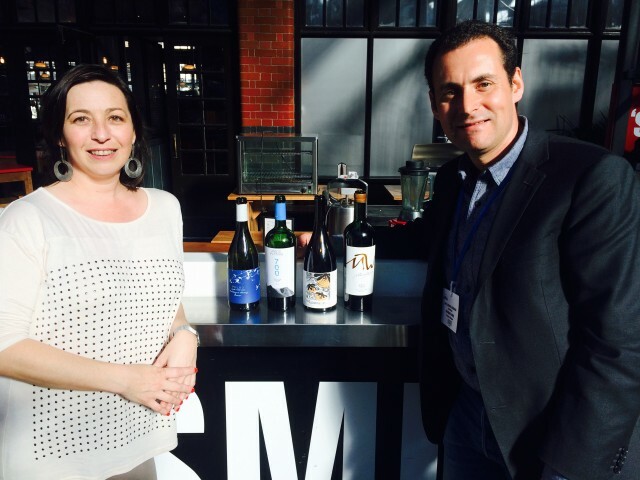 Our wines from winery Gandolini, Ventolera and Von Siebenthal participated in the event. 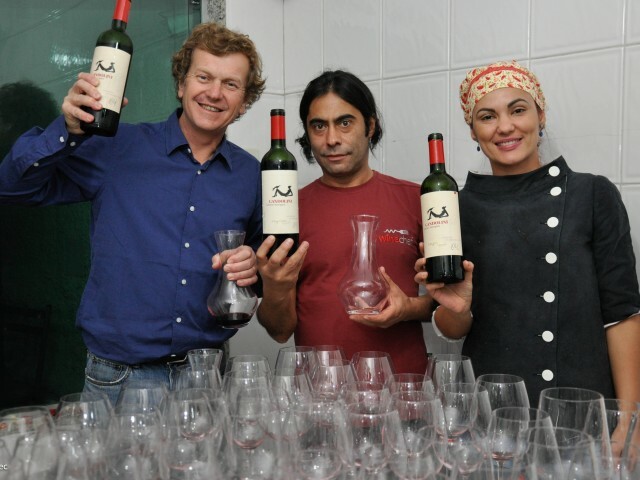 Chilean Premium Wine – Tasting Tour made an event in Juiz de Fora of Chilean wines of high range. Our wines from winery Gandolini, Ventolera and Von Siebenthal participated in the event. This event was organizate by the Association of Sommeliers of Brazil. Chilean Premium Wine – Tasting Tour made an event in Belo Horizonte of Chilean wines of high range. Once Again our wines from winery Gandolini, Ventolera and Von Siebenthal participated in the event with the someones of the best sommeliers of the city. 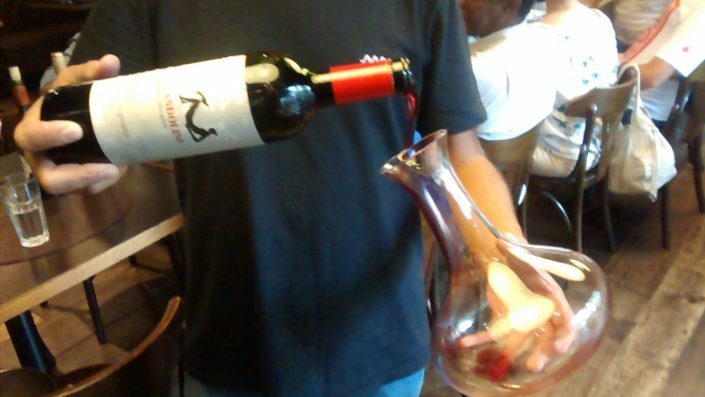 Chilean Premium Wine – Tasting Tour made an event in Vitoria of Chilean wines of high range. Once Again our wines from winery Gandolini, Ventolera and Von Siebenthal participated in the event. Chilean Premium Wine – Tasting Tour made an event in Minas Gerais of Chilean wines of high range. In this event participated many sommeliers of the ABS (Associação Brasileira de Sommelier). Once Again our wines from winery Gandolini, Ventolera and Von Siebenthal participated in the event. Our CEO Stefano Gandolini received a group of ABS Campinas Brazil. 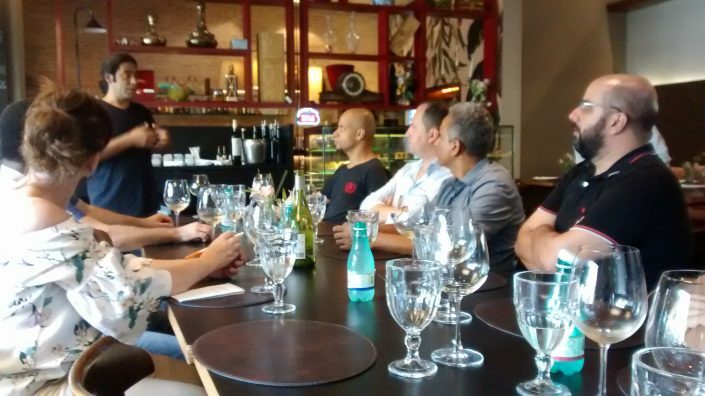 The group was conformed by the President of ABS Campinas, Bruno Vianna and 25 sommeliers. They went to Viña Ventolera and tasted some wines of the winery and also enjoyed a delicious outdoor lunch. 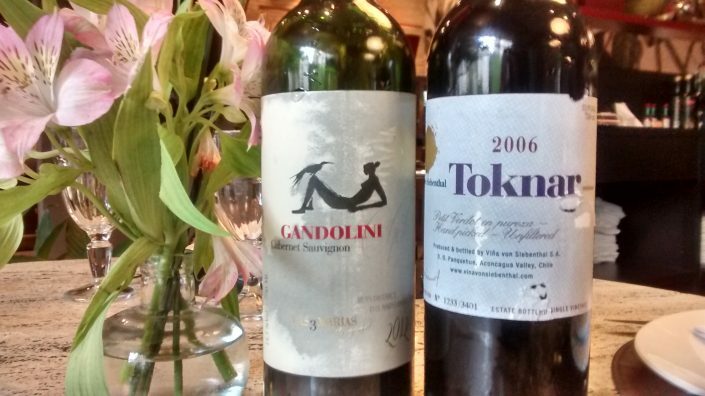 Then they visited Viña Gandolini, where they tasted the Gandolini Las 3 Marías Vineyards Cabernet Sauvignon. The visit was classified as fascinating by the group of sommeliers and they did not fail to highlight the excellent wines they tasted during the visits. 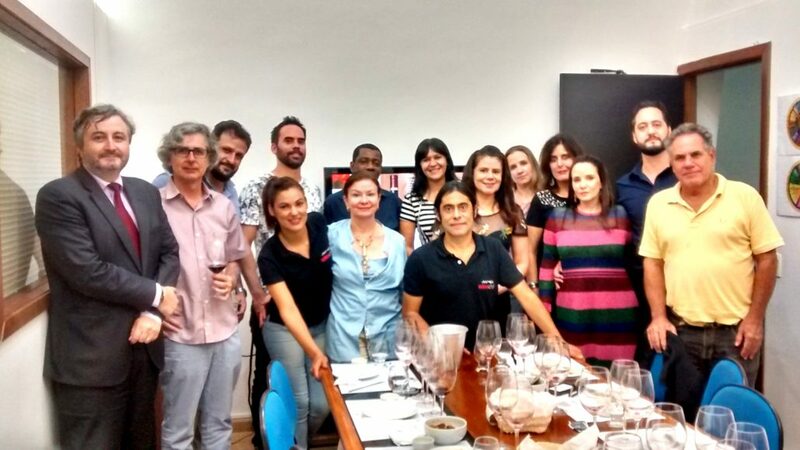 Chilean Premium Wine – Tasting Tour made a second event in Belo Horizonte of Chilean wines of high range. The event was in the restaurant Ah Bon, localited in the neighborhood Lourdes. Once Again our wines from winery Gandolini, Ventolera and Von Siebenthal participated in the event. 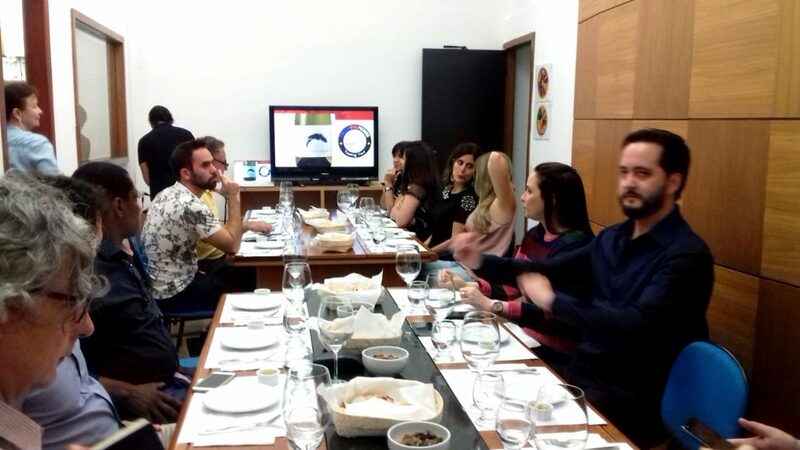 In the restaurant 68 in Belo Horizonte (state of Minas Gerais) took place a tasting of Chilean wines of high range, where were present wines of winery Gandolini, Ventolera and Von Siebenthal. 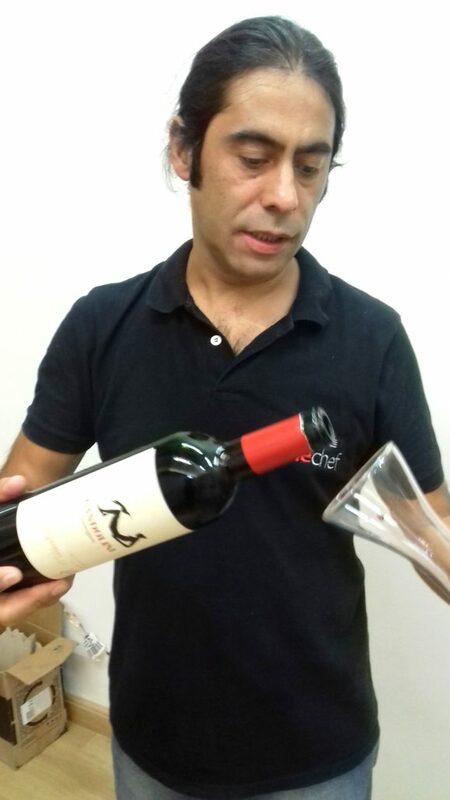 The article belongs to the journalist specializing in wines Carlos Leite (Kaká), who was present at an event held in Vitoria by Chilean Premium wine – tasting Tour, a company belonging to the sommelier Alex Ordenes, and in it describes the work of Stefano Gandolini (CEO of GVV terroirs) in winemaking, its trajectory and a small description of several of the wines that Stefano has produced. Article in page 13 of the link. 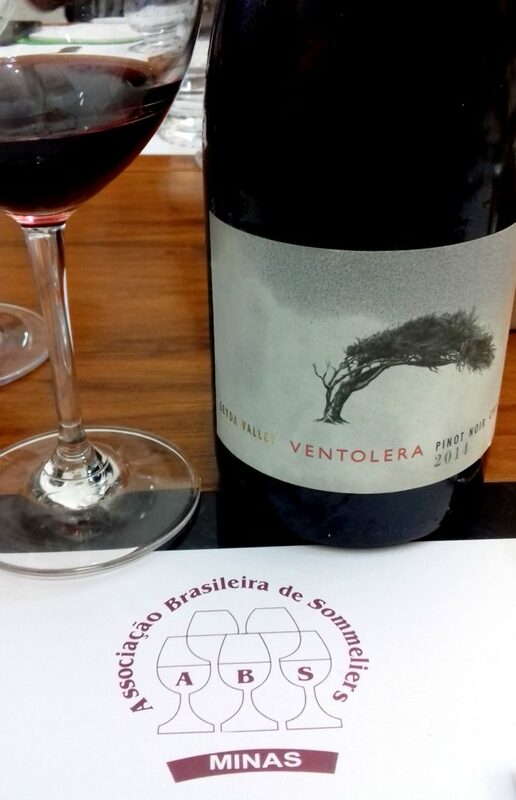 Álvaro Galvão da Silva from Brazil made two articles of winery Von Siebenthal. 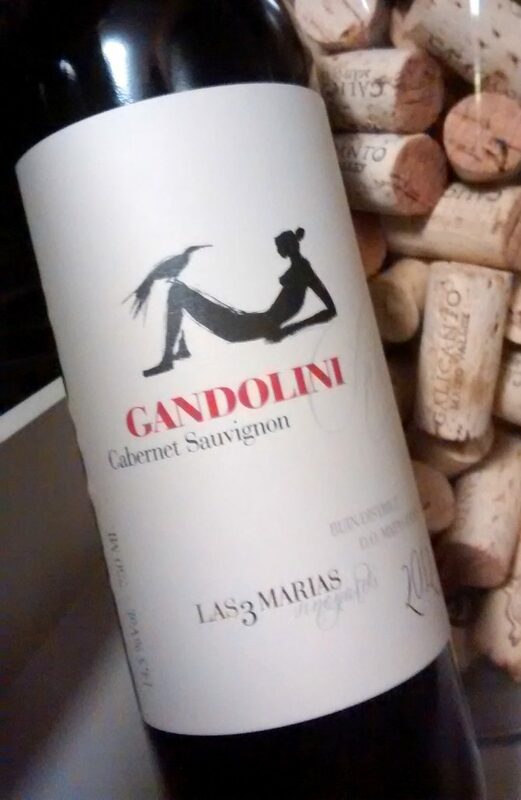 Gandolini Las 3 Marias Vineyards Cabernet Sauvigon elected BEST CHILEAN WINE with 98 pts!! The leading wine guide in South America, Guia Descorchados, has elected viña Gandolini 's Las 3 Marias Vineyards Cabernet Sauvignon 2011, for its first ever vintage, the BEST WINE of the guide with and amazing score of 98 pts!! 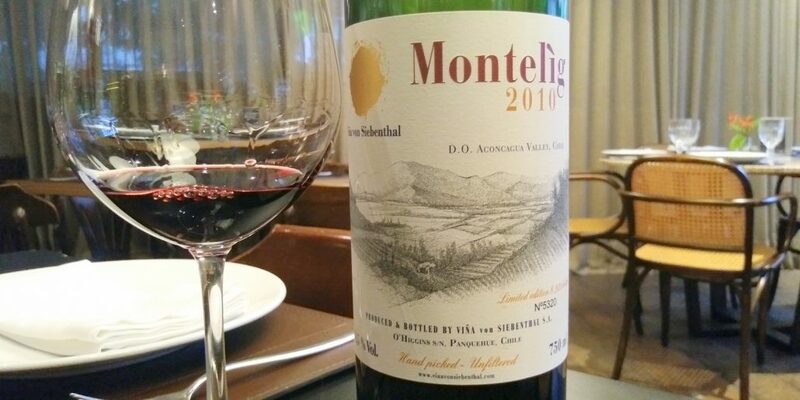 This is a great achievement and aknowledgement for Stefano Gandolini who started this project 15 years ago, willing to produce the a world class and iconic chilean Cabernet Sauvignon. 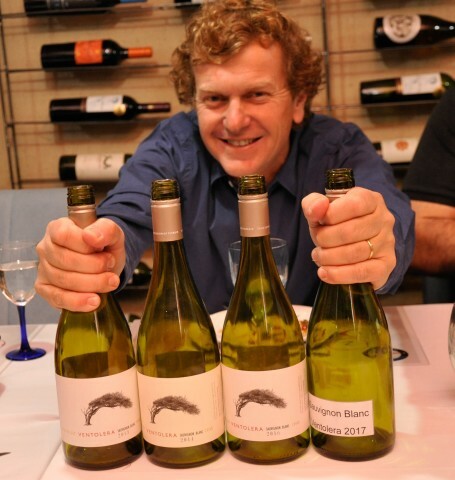 The World Best Sommelier 2000 Olivier Poussier has mentionned Ventolera Sauvignon Blanc 2013 as a perfect pairing with the Chilean national fruit: the avocado! 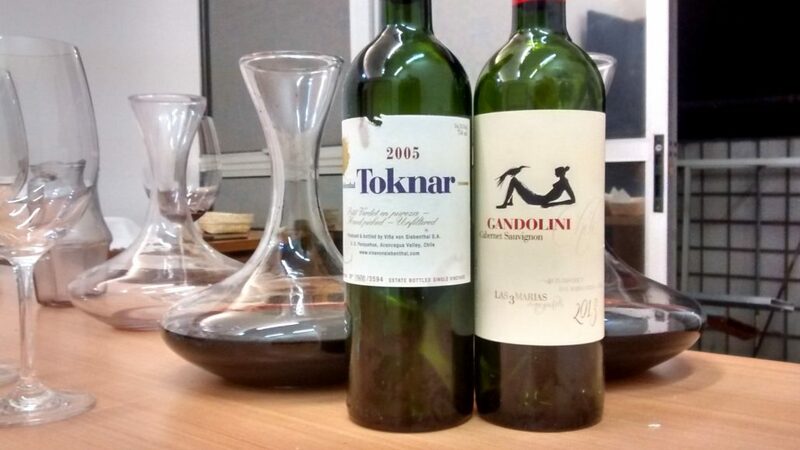 Revise the pictures of that Masterclasses of the GVV Terroirs' portfolio that has been performed Stefano Gandolini in Kuala Lumpur, organized by our importer for Malaysia and Singapore, JJ Retailer . Last ranking of Argentinian Wines by the Wine Spectator scored LTU 2011the 3rd best score with 92 pts! Congratulations to the team to maintain LTU as a reference in the high-end Malbecs wines from the Uco Valley! The Hong-Kong based wine magazine has praised the exceptionnal rise of the Pinot Noirs from Chile, and among them been laudatory with all 3 Pinot Noirs from Ventolera. 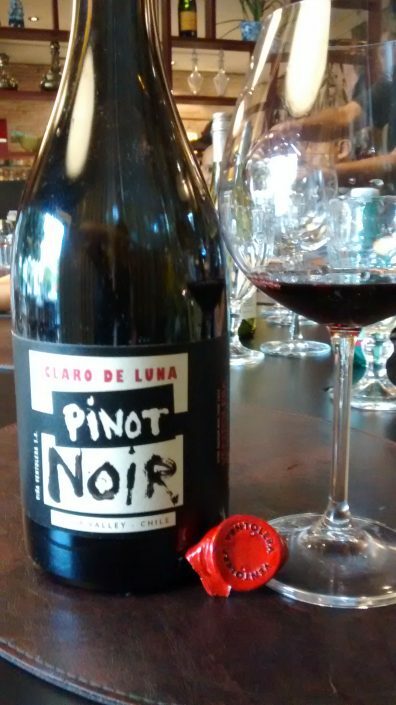 They have awarded the best score to Claro de Luna Pinot Noir with 93 pts, chosen to be shown in the front cover. Litoral Sauvignon Blanc among the best value wines in South America by Decanter! The famous British wine magazine Decanter has choosen Litoral Sauvignon Blanc among its selection of the best value buys from South America! "Subtle, leafy and smoke aromas give way to a confident, zesty palate. Zingy herbs, citrus fruit and saline flavours are complex and textural. Charming, sophisticated and very promising. 90+"
El reconocido periodista colombiano Hugo Sabogal publicó en la revista Diners (Colombia) un largo artículo sobre Stefano Gandolini y los vinos de viña Gandolini, Ventolera y von Siebenthal. Revísala aquí! Ventolera and von Siebenthal will attend the reknown show "Icon wines of Chile" (Vinos Iconos de Chile) next 21st & 22nd of August, at Club El Golf 50, Las Condes, Santiago. Drop by Ventolera's booth and get a chance to taste our acclaimed Ventolera range (Sauvignon Blanc, Pinot Noir, Syrah), Cerro Alegre Sauvignon Blanc or Claro de Luna Pinot Noir; or drop by von Siebenthal's booth to taste some Carabantes Syrah, Montelig red blend, Toknar Petit Verdot or Tatay de Cristobal Carmenere! Do not miss this article from el Diario Financiero, where Ventolera and von Siebenthal have been quoted as the inmissable wineries of the show! Ventolera wines have received 3 awards at the last Wine & Gourmet fair in Taipei (Taiwan). It is a great recognition and honor for Ventolera wines that show they are well fitted for the Taiwanese palate. 92 points in Wine Spectator for LTU 2011 ! 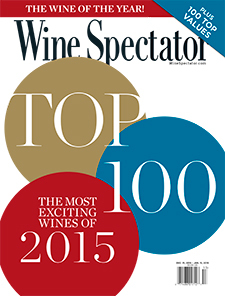 LTU keeps following its path through excellency by obtaining the score of 92 pts in the last issue of Wine Spectator. It is the best scored in the issue among the other Argentinian Malbec wines. This score comes as a confirmation for GVV Terroirs to bet on the grand Terroir for Malbec that is La Consulta in the Uco Valley, Mendoza, Argentina. "Luxury wines, the neglected side": In the last edition of the weekly supplement Campo, from the renown Chilean Newspaper El Mercurio, our Commercial Director Cristián Muñoz, speaks about the challenges that one faces selling luxury Chilean wines abroad. Ventolera showed well at the London Wine Fair! In May 2015, GVV Terroirs attented to no more than 7 fairs for high end wines, called World Leading Wines, in the USA and Asia. Unlike big open other wine fairs, WLW fairs put in contact and gather only a selected amount of wine importers as well as high end wineries from all over the world. The fairs happens in prestigious multiple stars Hotel. For the first time, it was granted the privilege to GVV Terroirs to attend the fair, not as a winery, but as a Luxury Wine Negociant and its exclusive portfolio of Chile and Argentina. March 4, 2015: It was a sunny afternoon at Ventolera winery when the press was invited to discover its 2 iconic cuvées, Claro de Luna Pinot Noir and Cerro Alegre Sauvignon Blanc. A visit of the winery and a tour in the vineyards has lead the guest to seat down for a lunch while tasting a vertical of Ventolera's icons: 2013 & 2014 for Cerro Alegre, 2012 & 2011 for Claro de Luna. 94 pts for LTU 2010 in the Wine Enthusiast! LTU 2010 just got awarded 94 pts by the Wine Enthusiast! This is a great achievement for LTU that seeks to demonstrate the extraordinary terroir of La Consulta, Uco valley, Mendoza, in Argentina. During the all month of January, the GVV Terroirs team went to support its clients in Asia, and has held Masterclasses to explains terroirs from Chile & Argentina to their customers. Here's a drop of some pictures of theses events. Ventolera has confirmed its place as a leader in the cold climate terroirs of Chile by achieving remarcable scores in the last issue of the Chilean wine guide Descorchados 2015. Cerro Alegre 2014, the icon Sauvignon Blanc cuvée, has been elected as the best wine from the Leyda valley, and is featured among the best white wines of Chile, gathering the exceptional score or 95pts! In the meantime, Ventolera Sauvignon Blanc 2014 gathered a wonderful score of 94 points, and Litoral Sauvignon Blanc 2014 a 92 points, making it one of the best value of Chilean wines. Andes Plateau with its 700+ cuvée has made an amazing entrance in the leading wine guide in South-America with a score of 93 points for its first ever vintage! Theses scores confirms our will to demonstrate that only grand terroirs can make grand wines, so why we focus on this exceptional sub-area that is San Juan in the heart of the Leyda Valley, and the Andes Mountains for Andes Plateau. GVV Terroirs attendance at Vinexpo Nippon in Tokyo on November 1st-2nd has been a great success. Thank you to all the importers and great business contacts our team has meet up there. To all Japanese wine lovers, we'll see you soon...! Ventolera has officially lauched in October its iconic wines, Cerro Alegre Sauvignon Blanc and Claro de Luna Pinot Noir, during a dinner with its exclusive distributors in the country, Cavas Reunidas S.A. According to a poll carried out by 10 Best Reader´s Choice from USA TODAY, Chile's Maipo Valley has been elected has the third best region in the world to be worth visiting. GVV Terrroirs' wines have been rated as the topmost exclusive portfolio from Chile. On June 27, 2014; Robert Parker's Annual Chilean edition (The Wine Advocate publication) rated 16 of our wines with most of them 90+ points. At the end of June, GVV Terroirs has welcomed 2 famous wine experts and journalist from China, to share our vision of Terroir's wines and show them around our wineries from Chile. International Trophy for Cruzat Cuvée Réserve Rosé Extra-Brut and other awards at the Decanter World Wine Awards 2014 ! Bodega Cruzat has just been awarded the International Trophy at the Decanter World Wine Award, for the BEST sparkling under £15 !! GVV Terroirs's Team sends its greetings from Vinexpo Hong-Kong! If you are around, do not hesitate to drop by our booth 1-H20 and discover our incredible selection of Premium Chile & Argentina's wines. Visit us at Vinexpo Hong-Kong! GVV Terroirs will be present at Vinexpo Asia-Pacific 2014 in Hong-Kong, from May 27th to 29th! Drop by our booth 1-H20 to discover all our exclusive portfolio of ultra premium Terroir wines from Chile and Argentina. With 15,000 sq. m., 1,300 exhibitors from all over the world, and 17 to 18,000 exclusively professional visitors, Vinexpo is the world’s leading international wine and spirits exhibition. 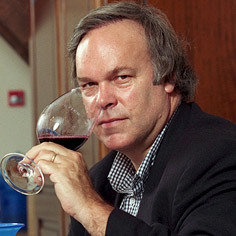 In 2011, Stefano Gandolini joined Ventolera as a partner and Chief Winemaker and his commitment to produce world-class wines can be proved by his international award-wining reputation as well as by the outstanding quality of his Sauvignon Blancs and Pinot Noirs, which are considered among the best from Chile.